How 2 Train A Dragon, originally uploaded by Lukasmummy. Credits: Layered template (Template 001, Template 2) by LEIdee Q Designs, Anything Goes Mega kit contributions by Jaime Rhinehart (Cjoy2Day Designs), Mom2Moo Designs, Laura White (C.W Picket & Company), LEIdee Q Designs, Joelle Lester (Daphadilly Art), Kathi B (Ooh ~n~ ahh designs), Jen C Designs, Michaela Mazahreh (Marshmella Designs), 3 Li’l Monsters Designs and Melissa Robinson (Melly Scraps) and Delicious Black and White action by Natasha Whiteley Font is Pea Shelley Belley by Amanda Bottoms (Fonts For Peas). Journalling reads: When Nana fell and broke her arm she had lots of hospital appointments, most of them were while you were at school, so I just went with Nana. But on this occasion we had an afternoon appointment so you had to come with us. We had a really long wait but you were a really good boy, you sat nicely and played with all of the toys in the waiting room. Your favourite toy seemed to be a big Transformers monster truck. I did take some photographs of you, but they didn’t turn out great, thanks in part to the really bad lighting, and they were really blurry because you just don’t sit still. Eventually we were done and it was time to leave, Nana wanted to do some shopping and after that the best place to call and wait for a taxi is in the reception for the Children’s hospital. You were fascinated by this new wooden dragon ride. It’s a little bit like a rocking horse, there is a seat and straps for your feet, you sit on it and then it swings backwards and forwards. It was not very easy to get you up on to it, since the seat is quite high and you are a really big boy. With a combination of pushing, pulling and lifting I managed to get you up in to the seat. Then you decided that you were scared and wanted to get straight down. I asked if you would mind me taking one photograph before you did, you reluctantly agreed. In the time it took me to change the setting on the camera, you had changed your mind and started to enjoy yourself. So I guess how you train a dragon is in three steps. 1. Climb up on to it’s back. 2. Be brave and hold on tight. 3. Sit back and enjoy the ride. This was much more fun than just waiting for a taxi! Enabling: Template 001 by LEIdee Q Designs available here and Anything Goes by DSDI Pink Ladies is available here. 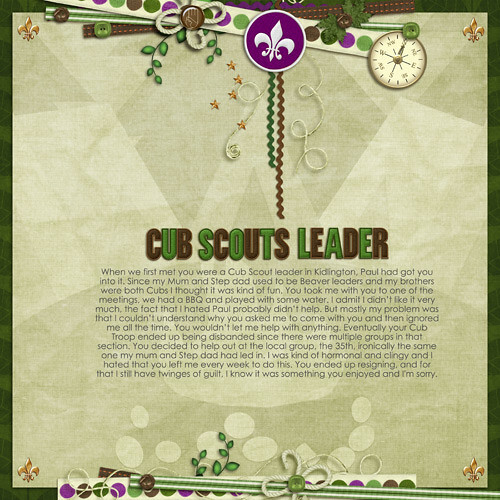 Cub Scout Leader, originally uploaded by Lukasmummy. Credits: Layered template (My Words Only, Volume 2, Template 1) by Rachel Jefferies (Captivated Visions) and Adventures Of A Scout Mega (slightly recoloured) contributions by Jaime Rhinehart (Cjoy2Day Designs), Laura White (C.W Picket & Company), Mom2Moo Designs, Melissa Robinson (Melly Scraps), Bonnie Blou Designs, and Janet Avila (Bean Bunny Designs). Font is Century Gothic. Journalling reads: When we first met you were a Cub Scout leader in Kidlington, Paul had got you into it. Since my Mum and Step dad used to be Beaver leaders and my brothers were both Cubs I thought it was kind of fun. You took me with you to one of the meetings, we had a BBQ and played with some water. I admit I didn’t like it very much, the fact that I hated Paul probably didn’t help. But mostly my problem was that I couldn’t understand why you asked me to come with you and then ignored me all the time. You wouldn’t let me help with anything. Eventually your Cub Troop ended up being disbanded since there were multiple groups in that section. You decided to help out at the local group, the 35th, ironically the same one my mum and Step dad had led in. I was kind of hormonal and clingy and I hated that you left me every week to do this. You ended up resigning, and for that I still have twinges of guilt, I know it was something you enjoyed and I’m sorry. 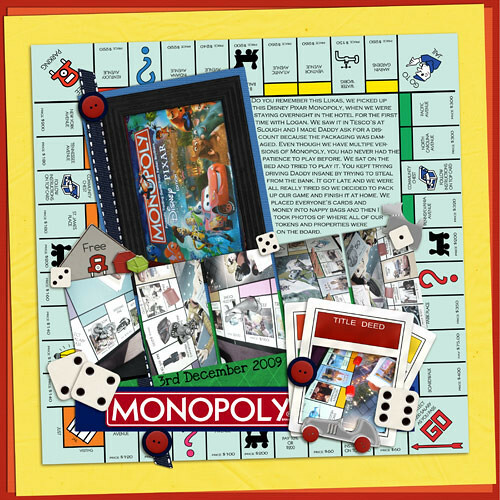 Disney Pixar Monopoly, originally uploaded by Lukasmummy. 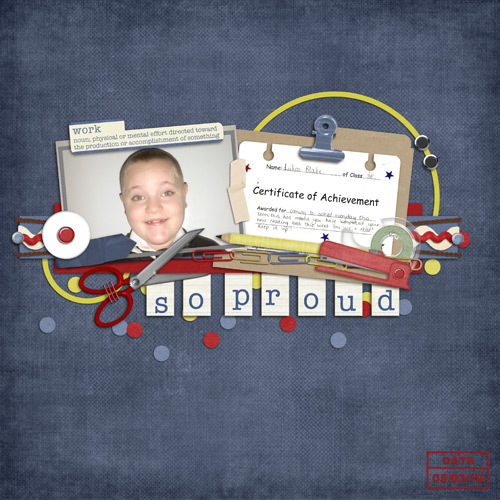 Credits: Layered template (Cindy’s Templates, Former Freebies Set 1, Template 2) by Cindy Schneider, Monopoly Board Template by Brad Frost, Get Your Game On (slightly recoloured) Mega Kit contributions by Jaime Rhinehart (Cjoy2Day Designs), Melissa Robinson (Melly Scraps), Mom2Moo Designs and Jen C Designs. Fonts are Love Ya Like A Sister by Kimberly Geswein and Copperplate Gothic Light. Monopoly Logo from logotypes101. Credits: Layered template (Big Picture Templates, Template 1) by Tanya Riley (Pixel Me That Designs), And So It Begins Mega contributions by Jolly Kids Creations By Marie, Jaime Rhinehart (Cjoy2Day Designs), Jen C Designs, Bonnie Blou Designs, Melissa Robinson (Melly Scraps), Jeanie’s Designs and Mom2Moo Designs and Bead Alpha by Megan Turnidge. The Sleepy Shepherd, originally uploaded by Lukasmummy. Credits: Layered template (Templaoodle, Template 2) by Gabriella Hägglund (Ella Designs) and Merry and Bright Mega kit contributions by Kerry Ticknor (Kerry’s Scraps), Jolly Kids Creations by Marie, Bonnie Blou Designs, Janet Bracewell (JanetB Designs), Joelle Lester (Daphadilly Art), Jewel Goodwin (Mad Genius Designs) and Jaime Rhinehart (Cjoy2Day Designs). Font is Architects Daughter by Kimberly Geswein. Journalling reads: Every year the school has done an alternative to the traditional Nativity. 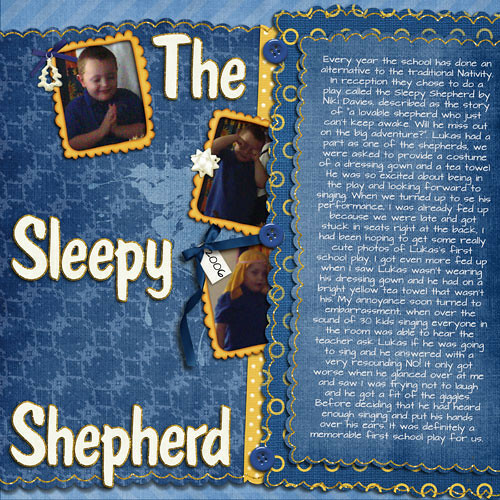 In reception they chose to do a play called the Sleepy Shepherd by Niki Davies, described as the story of “a lovable shepherd who just can’t keep awake. Will he miss out on the big adventure?”. Lukas had a part as one of the shepherds, we were asked to provide a costume of a dressing gown and a tea towel He was so excited about being in the play and looking forward to singing. When we turned up to se his performance, I was already fed up because we were late and got stuck in seats right at the back, I had been hoping to get some really cute photos of Lukas’s first school play. I got even more fed up when I saw Lukas wasn’t wearing his dressing gown and he had on a bright yellow tea towel that wasn’t his. My annoyance soon turned to embarrassment, when over the sound of 30 kids singing everyone in the room was able to hear the teacher ask Lukas if he was going to sing and he answered with a very resounding NO! It only got worse when he glanced over at me and saw I was trying not to laugh and he got a fit of the giggles. Before deciding that he had heard enough singing and put his hands over his ears. It was definitely a memorable first school play for us. Logan’s First Christmas, originally uploaded by Lukasmummy. Credits: Layered template (October 11th 2010, Template Freebie from Eva Kipler’s Blog) by HeatherKS and Retail Therapy Mega kit contributions by Jaime Rhinehart (Cjoy2Day Designs), Joelle Lester (Daphadilly Art), Janet Bracewell (JanetB Designs), Melissa Robinson (Melly Scraps), Charm City Scraps, Bonnie Blou and Jewel Goodwin (Mad Genius Designs). Fonts are SA Inkspot by Shellie in co and Promised Freedom by Kimberly Geswein. Journalling reads: We parked your swing seat in the centre of the presents, so you could see what was going on. You weren’t really sure what was going on but you loved it! 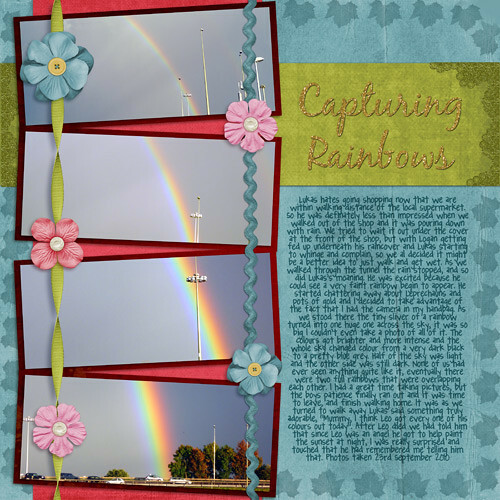 Capturing Rainbows, originally uploaded by Lukasmummy. Credits: Layered template (Shape Up Templates, Template 4) by Melissa Robinson (Melly Scraps) and October Mystery Collab contributions by Jaime Rhinehart (Cjoy2Day Designs), Jen C Designs, Jewel Goodwin (Mad Genius Designs, Joelle Lester (Daphadilly Art), Janet Bracewell (JanetB Designs) and Melissa Robinson (Melly Scraps). Fonts are Blackjack and Pea Angedawn by Amanda Bottoms (Fonts For Peas). So Proud, originally uploaded by Lukasmummy. Credits: Layered template (Fall Carnival Template) by JennCK and Cubicle Madness Mega Kit contributions by Jewel Goodwin (Mad Genius Designs), Jaime Rhinehart (Cjoy2Day Designs), Melissa Robinson (Melly Scraps), Laura White (C.W Picket & Company), Daphadilly Art, Charm City Scraps, Glynis Irwin (Graphic Illusions), Andrea DiTonno (AnDi Designs), Jen C Designs, Janet Bracewell (JanetB Designs) and Denise Tilley (DigiDesigns By Denise). 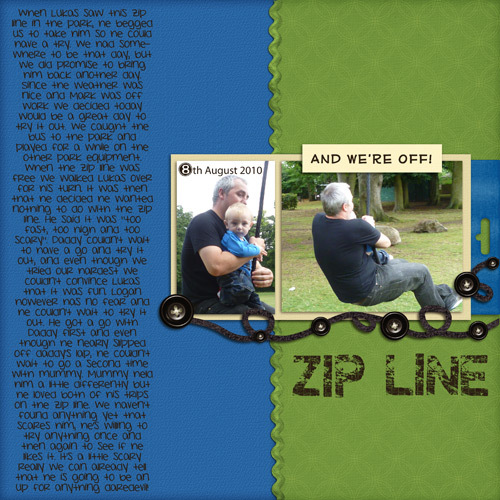 Zip Line, originally uploaded by Lukasmummy. Credits: Layered template (Stack It Up, Template 2) by Denise Tilley (DigiDesigns By Denise) and Hit The Road Jack Mega Kit contributions by Jewel Goodwin (Mad Genius Designs), Meredith Lester (Daphadilly Art), Jaime Rhinehart (Cjoy2Day Designs), Nikki Mulreany (7hump3r Designs), Jen C Designs and Laura White (C.W Picket & Company). 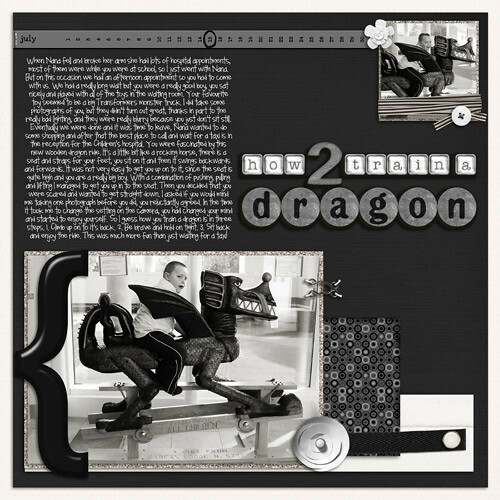 Fonts are sf On The Dot by Sugar Frog Fonts and Pea Jo by Amanda Bottoms (Fonts For Peas). Journalling reads: When Lukas saw this zip line in the park, he begged us to take him so he could have a try. We had somewhere to be that day, but we did promise to bring him back another day. Since the weather was nice and Mark was off work we decided today would be a great day to try it out. We caught the bus to the park and played for a while on the other park equipment. When the zip line was free we walked Lukas over for his turn. It was then that he decided he wanted nothing to do with the zip line. He said it was “too fast, too high and too scary”. Daddy couldn’t wait to have a go and try it out, and even though we tried our hardest we couldn’t convince Lukas that it was fun. Logan however has no fear and he couldn’t wait to try it out. He got a go with Daddy first and even though he nearly slipped off daddy’s lap, he couldn’t wait to go a second time with mummy. Mummy held him a little differently but he loved both of his trips on the zip line. We haven’t found anything yet that scares him, he’s willing to try anything once and then again to see if he likes it. It’s a little scary really we can already tell that he is going to be an up for anything daredevil! Tire Swing, originally uploaded by Lukasmummy. Credits: Layered template (Cindy’s Templates Set 59, Template 4) by Cindy Schneider, CU Paper Circle Calender by CW Picket & Company and Splendid Summer Mega Kit contributions by Mandymade Designs, Jaime Rhinehart (Cjoy2Day Designs), CW Picket & Company, Charm City Scraps, Andrea DiTonno (AnDi Designs), Denise Tilley (DigiDesigns by Denise), Janet Bracewell (JanetB Designs), Jen C Designs, Melissa Robinson (Melly Scraps) and Jewel Goodwin (Mad Genius Designs). Font is DJB Chris by Darcy Baldwin. Journalling reads: Since we were early, to pick up Lukas from school we decided a trip to the park was in order. At first me and Daddy were able to just sit and chat, because you were sleeping peacefully in your pushchair, but the second you woke up and realised where we were you wanted OUT! You have never been on anyone’s lap on the swing because mummy can’t touch the seat, since they are rubber. So Daddy took you on the tire swing. I honestly can’t say which one of you enjoyed it more. It was so cute to watch the two of you!